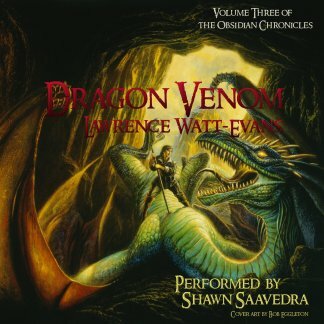 Awhile back I noticed that I still controlled the audio rights to some of my books — specifically, the Obsidian Chronicles. And someone pointed me at ACX, where I could self-publish audiobooks. So in 2016 I decided to give it a shot, and signed up to produce an audiobook of Dragon Weather. 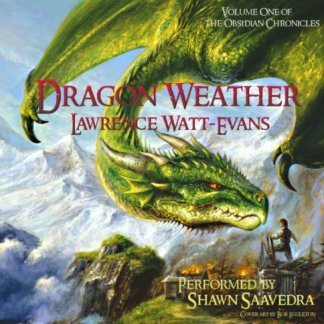 I held auditions and found a guy named Shawn Saavedra who seemed to do a fine job, and while it took longer than I’d expected, the audiobook of Dragon Weather came out last summer, and has done better than I expected. So of course I signed Shawn up to continue the series. 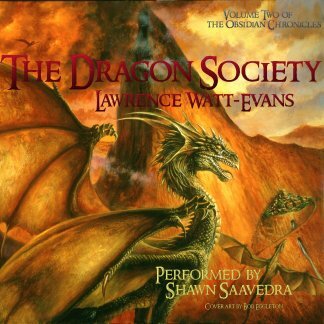 The Dragon Society has just been completed and delivered to ACX/Audible, and should be available for purchase in a week or two. And now we’ve just contracted for Dragon Venom — not sure how long it’ll take, but it’s under way. For all three, Bob Eggleton was kind enough to let me use the original cover art for a modest fee, which made it possible to put together some decent covers. Anyway, that will finish the series — so what’s next? I already knew I controlled the audio rights to Touched by the Gods, which I think would be a good fit for Shawn’s voice and style; he says he’d be interested in tackling it, but not immediately after the current series. So that’s a long-term prospect. But tonight a thought struck me, and I checked some contracts, and discovered I also control Night of Madness. I’ve had people asking for more Ethshar, and while Wildside Press controls most of the series and is very gradually releasing them (The Misenchanted Sword and The Vondish Ambassador are available, and With A Single Spell is allegedly in the works), I could do Night of Madness myself. I also still have the rights to the Annals of the Chosen. That might be interesting. So would those be worth doing? P.S. …and today I realize I still have the audio rights to everything published by FoxAcre Press, too. Posted on March 29, 2018 by Lawrence Watt-Evans in The Writing Life, Work in Progress. How about Annals of the Chosen? I’ve already ready and have copies of all the Ethshar books, and have just finished the Obsidian Chronicles. Im always up for a good audiobook or two to listen to on my commute. That seems to be the most popular option, going by discussion on Facebook.